A short article explaining indulgences and practices we can do during the month of November for the Poor Souls in Purgatory. It is during November that the Church meditates on the Communion of Saints, which is the charitable link with the faithful who have already reached heaven (Church Triumphant), the faithful departed who are still expiating their sins in Purgatory (Church Suffering) and of the pilgrim faithful here on earth (Church Militant). "In this wonderful exchange, the holiness of one profits others, well beyond the harm that the sin of one could cause others. Thus recourse to the communion of saints lets the contrite sinner be more promptly and efficaciously purified of the punishments for sin." (Catechism of the Catholic Church, 1475). On November 1st the Church celebrates the Solemnity of All Saints, a Holy Day of Obligation, honoring all those faithful in heaven. Throughout November the Church also remembers our Faithful Departed. 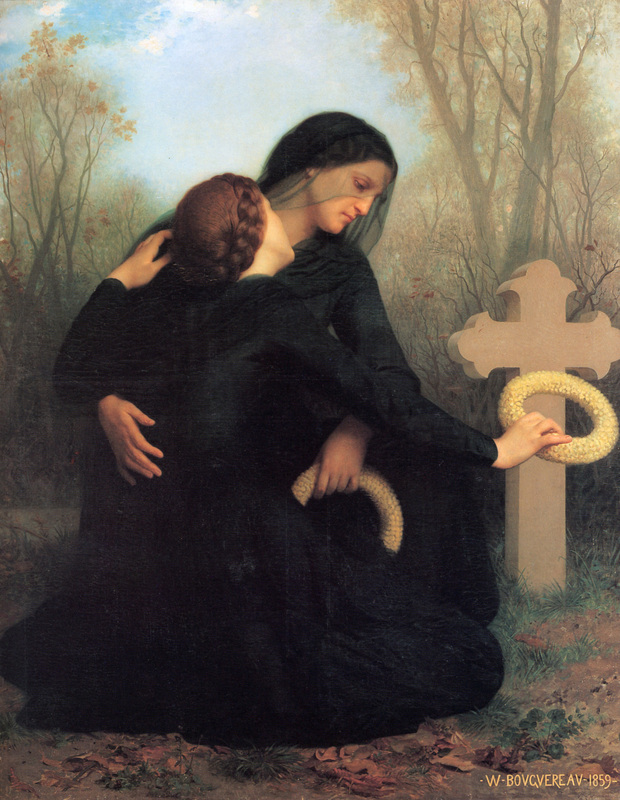 The need and duty of prayer for the departed souls has been acknowledged by the Church at all times. It is recommended in the Scriptures of the Old Testament: "It is therefore a holy and wholesome thought to pray for the dead, that they may be loosed from sins" (2 Macch. 12, 46). This duty has found expression not only in public and private prayers but especially in the offering of the Holy Sacrifice of the Mass for the repose of souls. Throughout November the Church prays for all who are in the purifying fires of Purgatory, waiting for the day when they will join the company of the saints in heaven. The celebration of Mass is the highest means the Church can provide for charity for the dead, but we can also relieve their sufferings through our prayers, sufferings and penances. We can also help the Poor Souls by doing acts and prayers that have indulgences attached to them. There are many indulgences, applicable only to the Souls in Purgatory, that can be obtained during the month of November. An indulgence is "the remission before God of the temporal punishment due for sins already forgiven as far as their guilt is concerned." To obtain this remission there are proper dispositions and certain conditions predetermined by the Church that must be met by the faithful. The remission is acquired through the intervention of the Church, who has the power to loose and bind granted through Jesus Christ. "As minister of the Redemption, authoritatively dispenses and applies the treasury of the satisfaction won by Christ and the Saints" (Enchiridion of Indulgences). Although this was given for the Jubilee Year, these "remain in effect, since it was contained under the "General remarks on indulgences," and not under those specific to the Jubilee Indulgence." See Indulgences – General Conditions for further explanation. Visiting a Cemetery: A partial indulgence can be obtained by devoutly visiting a cemetery and praying for the departed, even if the prayer is only mental. One can gain a plenary indulgence visiting a cemetery each day between November 1 and November 8. These indulgences are applicable only to the Souls in Purgatory. Visiting a Church or Oratory on November 2: A plenary indulgence, again applicable only the Souls in Purgatory, is also granted when the faithful piously visit a church or a public oratory on November 2. In visiting the church or oratory, it is required, that one Our Father and the Creed be recited. We should pray for the departed all through the year, not just November. After these souls in Purgatory are in heaven, they will intercede for us. Developing prayerful habits, such as praying the "Eternal Rest" prayer when passing cemeteries, will remind us of our eternal destiny and increase charity towards others. For more information on the Church's teachings on indulgences, read the Enchiridion of Indulgences given by the 1968 Decree of the Sacred Apostolic Penitentiary.